Breathing new life into your brand is exciting, rejuvinating, and intimidating. The rebranding process gives your company a unique opportunity to more effectively communicate who you are and what you do, so it's crucial to get things right. 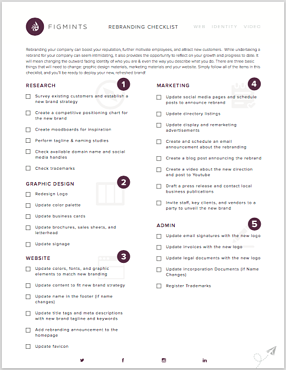 That's why we've provided this free checklist to walk your company through each step, from research and marketing to website design and development.